Here's a swatch of CND Shellac in Hollywood. Similar to Wildfire, but with a shimmer. In some lights, the shimmery gold undertone made the color look a little red-orange. 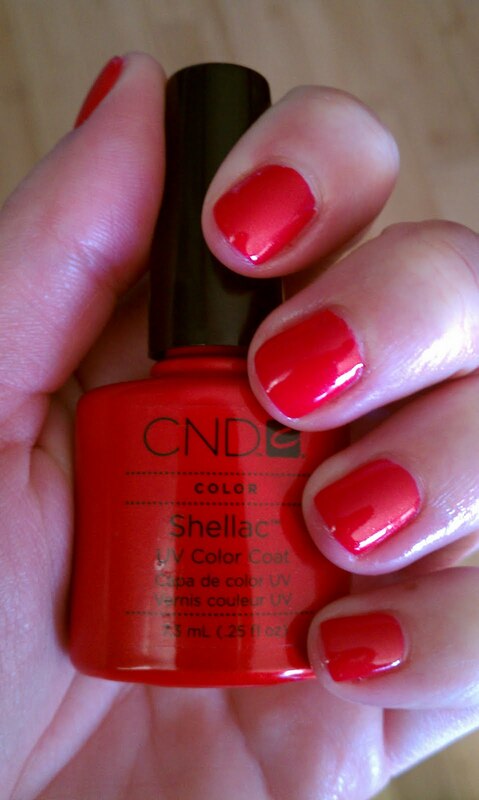 It's a beautiful color for holiday festivities. Thicker, Fuller Hair For Free! John Frieda video shoot debut!